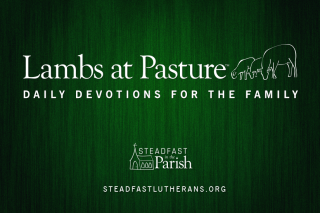 ← Steadfast LCMS — Lutheran by conviction. In the comments section of Pastor Rossow’s recent post about President Harrison’s taking questions directly from the microphones at a district convention, Pastor Scheer notified me that the comments section was steering toward matters of Lutheran education, and as it would happen, that’s why he asked me to write for the Brothers of John the Steadfast in the first place. Specifically, many Lutherans want their parochial schools not simply to duplicate the work of public schools but actually to excel at education and catechesis. This is the work to which the Lord has called me, as the associate pastor of a congregation which also provides a school for preschoolers through eighth grade. As it turns out, this desire is not unique to Lutheran parents; the parents of public school students are increasingly dissatisfied with the education their children receive. Many Lutheran schools are taking steps to meet this challenge by reviewing their curricula and pedagogy, and I would like to introduce this broad topic by sharing how our school has done this. I am quite new to many things: pastoral ministry, Lutheran education, classical education, and living at elevations that require special baking instructions. But I do see the effect of this model of education, and the difference is striking. From the students’ perspective, our curriculum is challenging, and classrooms are orderly. I sat in on our Pre-Kindergarten teacher as she taught a 30-minute lesson. A whole class of four-year-olds sat on the carpet the entire time without getting up or running around. They were learning phonograms (which sounds letters and combinations of letters make within a word), and I was amazed at what these children were capable of doing. Not only did the class know the names of the letters and which sounds they make, they could explain which sound a certain vowel would make in the middle of a syllable, or what sound a vowel would never make at the end of a word. Actually, I learned some things I never knew before. I taught a lesson in history to Grades 4-7; not only were they learning about World War II, but they were learning about the rise of Chiang Kai-Shek and Mao Zedong and the connection between the Weimar Republic, the Treaty of Versailles, and the post-war German economy to bring about the rise of Adolf Hitler. Last week, I was greeted by my upper grades (4-7) class with the Nicene Creed, which they had memorized in Latin — we begin each class with it, but to my delight they have now committed it to memory. In chapel we use the offices of the church — matins, vespers, morning prayer, and evening prayer. 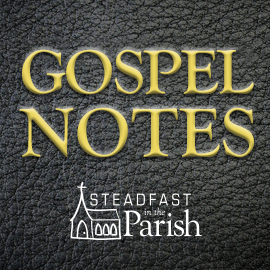 They also hear homilies from our pastors and sing and memorize hymns from the hymnal. Our students do work hard, but as a result they become capable thinkers and well-catechized. I share all this for two reasons. Firstly, this is but one example of a Lutheran school committed to excellence in education. It is by no means the only example, and interest in a classical model for Lutheran education is growing. In fact, all the primary schools of the Wyoming District now use this model. Secondly, it is my hope that more people learn about the benefits of a classical education and seek to learn more about it. CCLE has more recommendations and resources for those interested here. Thank you for the post. My wife and I have had our children in a Classical school since my daughter was in First Grade (she is in the 7th now). We transferred them over to the only Lutheran school in the area two years ago because of my experience with Lutheran education having attended K-12 only to transfer them back to the Classical school this year. One of the reasons for returning them to the Classical school was because of the struggle that Lutheran schools are facing of assimiliating and teaching to children of parents who are dissatisified with the public school education. This demographic outnumbers Lutheran families in that school and presents its own challenges. Our children attend a wonderful Classical school, albeit from a Reformed theological perspective. Lutheran academic excellence and theology fit into this educational model perfectly, and I have found that, even at an unabashedly Reformed school, the Lutheran concept of vocation informs how the children are taught. For those unfamiliar with classical education, Gene Veith’s book listed on the CCLE resource page is an excellent introduction. I was just talking to my husband last night about perhaps going back to school in ten years to finish my MA in Latin, and use it to work toward helping improve our nearby school, or even start a new one. Wilson, Douglas (1991). Recovering the Lost Tools of Learning: An Approach to Distinctively Christian Education. Good News Publishers. ISBN 0891075836. The Association of Classical and Christian Schools (http://www.accsedu.org/) was founded in 1994. The Consortium for Classical and Lutheran Education followed in 2000. Several years ago I developed an interest in maintaining a rigorous Christian school where a Lutheran effort had waned for lack of support; in that region, Lutherans were relatively few and far between. It seemed to me that a classical Christian school might attract sufficiently strong support among a broad base of conservative Christians. Eventually, an already-established evangelical Christian school successfully branched out into the area. I remain convinced that, in matters of K-12 education, conservative Lutherans will generally find more solidarity with conservative evangelicals rather than liberal Lutherans. Are there any Lutheran schools that rather than shut down are willing to accept part time home schooled children? Where I live many families who want Cristian education for their children are turning to homeschool, but with many children in the family, they like to have their children take some classes at a school that will allow them to only take one or two classes. Usually the class is 2-3 hours once or twice a week. Classes are about $400 a semester. I also urge all of you to read Thomas Korcock’s book “Lutheran Education,” just out from CPH. He shows that THE Lutheran educational tradition IS classical education plus catechesis. He traces its beginnings in the early church and in its Reformation version in the well-planned classical Christian schools developed by Luther, Melanchthon, and Bugenhagen, and on through C. F. W. Walther and the Saxon immigrants. He also shows that the theological controversies the Lutherans faced also manifested themselves in conflicting educational theories. The enthusiasts wanted Bible-reading-only schools. The pietists wanted job training. The rationalists wanted scientific training. The Lutherans consistently upheld classical education, which included mastering pagan authors and literature some considered “worldly” PLUS rigorous catechesis, equipping students for service in both of God’s kingdom. Korcock does a magnificent job of showing how this approach to education tied into both Baptism and vocation. You’ve got to read this book, both to show you what classical education is and what Lutheran education is! I haven’t read The Underground History of American Education, largely due to its price and its not being available on the Kindle Store. I am, however, reading Gotto’s Dumbing Us Down: The Hidden Curriculum of Compulsory Schooling. So far I think he exposes many of the problems with compulsory public education, but I’m not sure the solutions he advocates are compatible with classical pedagogy. In the case of our school, we tell prospective parents about what distinguishes us from the public schools, and much of what Gotto writes about the history and mission of public education stand in stark contrast to Lutheran classical education. Classical education and catechesis are important, yet Lutheran schools offer so much more. Check the link. The entire book is there read on! I suppose the upside to charging tuition is that parents expect value in return. Parents avoid the public school for safety, discipline, gang issues, and the “social justice” curriculum. They also want their children to be taught by teachers who are free from burdensome and nonsensical state and federal regulations. Block scheduling, cooperative learning (cooperative copying) and portfolios are some examples of nonsensical “education reform.” I do not want my kids to attend a Department of Education certified “blue ribbon school”. I do not want the teacher to be blamed for student laziness and disrespect. I want my kids to be forced to be accountable for their words and actions. Please tell me that the education in Lutheran grade schools bear no resemblance to the public school curriculum. Thanks. Check out Sections 2 and 3 in this document, which CCLE recently adopted as a way to identify what makes a classical and Lutheran educator. I’d say it’s a striking contrast to the public school curriculum. I will share it tomorrow at staff devotions. That U tube link runs almost three hours. Thanks for this post Rev. Hinton. Lutherans Schools are wise to use the classical education model. They do well to set themselves apart through educational excellence and diligence in teaching Lutheran doctrine and practice. Thank you for your post. So good to hear all is well with you in your call; our Heavenly Father is truly faithful. I’m interested in learning how a Lutheran School might make the transition from traditional curriculum to Classical. I know you were not present when this took place at your school. Yet, any insight you might be able to contribute in further posts would be helpful. Specifically, curriculum resources as well as teacher development. @Mark Huntemann #5 I would not like my child to turn out anything like the four Presidential candidates he mentioned, especially Al Gore. They all have one thing in common and that is the ability to lie without blushing. Thank you for that resource, Pr. Hinton. I have attended two of CCLE’s conferences. Right now we have four kids from our congregation attending an ACCS (Association of Classical & Christian Schools) school in North Kansas City. I have another family pulling their children from the public schools to home school. We have met and are discussing starting a classical Lutheran school in our church. Let me say, after much thought, the traditional Lutheran School model, 5 day a week school with full staff may become a thing of the past. Too much expense … unfortunately. The school my son attends is 3 days a week (MWF) with parents overseeing the homework assignments on Tuesdays and Thursdays. Very effective. Cost effective. And parents partner with the teachers. This made me think that there may be a new creative and innovative model similar to where our son attends that could help start more Classical Lutheran Schools, even in the smaller congregational setting. The idea is to train pastors and parents in this model of education, along with other trained professionals. Pastors and parents can play a larger role in this model. Parents can serve as teacher aides or assistants – while also teaching in the home. Pastors can help teach languages and religious courses. This, I’m sure, already happens to some degree, but I think actually developing training courses for pastors and parents to attend could go along way in reducing overhead costs, while still having fully trained staff as can be afforded. After reading the CCLE “Marks of a Classical and Lutheran Educator” I immediately thought of parents and myself as a pastor who would be interested in an annual “Summer” training course with this document as an outline. Perhaps a new model can come out of a new educational Reformation in Classical Lutheran Education. Something to think about. The new model may be that there is no one model anymore. The public charter school down the road uses the classical model. We have tried chasing after them. We cannot compete with them in that way, they have more money to burn and staff to hire. Yet they cannot come close to the relationships we build with our families and the amount of devotion we pour into the academic rigor we provide our students. Surrounding all of that is teaching Christ crucified and law and Gospel. We do that day in and day out. My class is speaking tomorrow at the public high school. All students in the school district were invited to participate in the local Optimist International oratorical contest. Of the 5000 students in the district eligible to compete, ages 10-18, only 17 signed up. 11 of those students were from my class. They will speak 4-5 minutes on overcoming obstacles. In every single speech is law and Gospel and Christ crucified. That is a cool thing about Lutheran schools and why I love teaching all of the students I have had for the past 12 years. Your dedication and efforts are most commendable. Your experience sounds exactly like that which would be most beneficial in discussions about what future models of Lutheran Education could be, or may need to become. I am thinking about a model that smaller congregations could adopt and make possible private education for families that otherwise don’t have all the resources available. How did the early Missourians do it? The Lord continue to bless your faithful service to our Lutheran youth! I really like the idea of Pastors being more involved in the education of the school. What your congregation is attempting is important and vital. I pray for the Lord’s guiding hand over you and the congregation as you work on beginning the school. That pastors should be involved is a given. That school boards want their pastor(s) to take a really active part, is another question. That is true. Sometimes is works the other way ’round too. Either way the school needs a Pastor. It seems that our children’s education should be a priority such that every member would want his children in our Lutheran schools. We should strive to have 100% of our children in our schools. We should have confidence that our schools are the best place for our children. Sometimes it seems we are so focused on reaching out to the community that we don’t prioritize as well as we could. It doesn’t seem wise to spend tons to beautify and modernize the sanctuary to attract visitors or new members if we can’t afford to support our school in order to keep all of our kids in our schools. I went to public schools in affluent districts. So, I had the best public education available. I also spent a few years in Christian schools. Based on my personal experience, I would never put my kids in public school, no matter what. I admit I am on the far end of the spectrum in my aversion to public schools, but we need to support our schools so that we can afford to help those families that can’t afford it and we need to prioritize it above other concerns. Our children are our first mission. You are are not alone by a long shot about putting your children in public schools. Neither could we with our son, neither could another family with their three children, and then yet another family who is pulling their children out to homeschool them. Then there is a brother pastor nearby whose wife is a public school teacher, who after teaching there said they were definitely not putting their two young girls in public school. This is actually laying the ground work for bringing our mutual concerns together and looking at starting a classical school at our church. I am confident we are not the only concerned parents. The challenge will be keeping it affordable. One we hope to and believe we can solve with some innovative structuring and creative application. Just a question, as there really are no, basic Synodical requirements, regarding safety, first aid, etc. Do LCMS/WELS/ELS require the Congregation’s Council, Board of Ed, & all full & part time staff, to be certified, card holding, Red Cross First Aid/CPR/Resp. response? Or require it of staff w/kids? Communities, no matter how small, require this for Babysitting Basics. Never had anyone w/o a card, babysit ours. Do our 3 Synods, require this 7 hrs, of Red Cross 1st Aid Basic/CPR, for all full time/part time/volunteers? LCMS, wasn’t an issue, WELS, not so much. Basic 1st aid, accidents happen. Are there basic requirements for liability & accountability? Ours doesn’t. Is this rare, or a need to be tweaked? I have taught it two LCMS schools and have had the certifications the entire time, with training every year. You have to meet the licensing requirements of the state. You can’t have kids under a certain age without meeting the state safety requirements. Ideally every child of the congregation should be able to be in the parish school at their own church one way or another. Strategically collaborate on faith expanding apostolic edge.